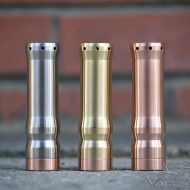 Home / E-Juice / Barista Brew Co.
Like coffee? How about a scone to go with that? These new flavours are simply amazing. Decadent, smooth and full bodied they are true to their name and almost as good as the real thing. 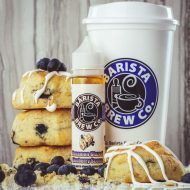 White Chocolate Mocha By Barista Brew Co.
Barista Brew Co. White Chocolate Mocha E liquid is the perfect wake and vape for the early mornings. Indulge in the latest concoction from Barista, featuring melted white chocolate with a creamy mocha. Pumpkin Spice Latte By Barista Brew Co.
Barista Brew Co Pumpkin Spice Latte is available for a limited time only over winter. 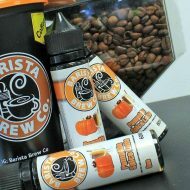 Artfully crafted, a trye pumpkin puree blended with espresso, steamed milk topped with whipped cream and pumpkin pie spice. Does Not Include The Coffee Cup. Maple Bar Doughnut By Barista Brew Co.
Classic golden deep fried doughnut with irresistible maple glaze. Nic Shot Ready. Fight Club recommended. 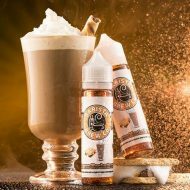 Smores Mocha Breeze By Barista Brew Co. Frozen Strawberry Watermelon Refresher By Barista Brew Co. 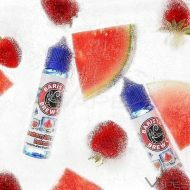 Experience a Frozen Strawberry Watermelon Refresher with juicy watermelons and ripe strawberries set this flavor off with a cool icy finish. Strawberry Watermelon Refresher By Barista Brew Co. 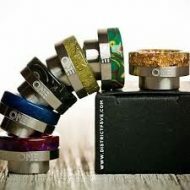 Please Note: The new batches do not include a free coffee cup. 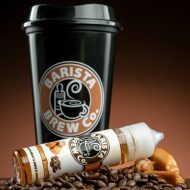 Salted Caramel Macchiato by Barista Brew Co.
Start your day with a bang with this great coffee based vape by Barista Brew Co. A deliciously smooth and strong freshly brewed Macchiato on the inhale, followed by a rich and decadent salted caramel on the exhale which will leave you licking your lips. 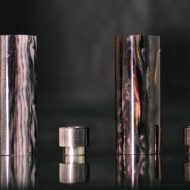 Nicotine Shot Ready. 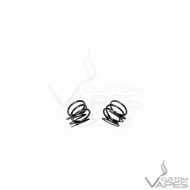 Fight Club Nicotine Recommended. Cinnamon Glazed Blueberry Scone by Barista Brew Co.
Freshly baked blueberry scones drizzled in a warm cinnamon frosting. If you love their Salted Caramel Macchiato, wait until you pair it with this!